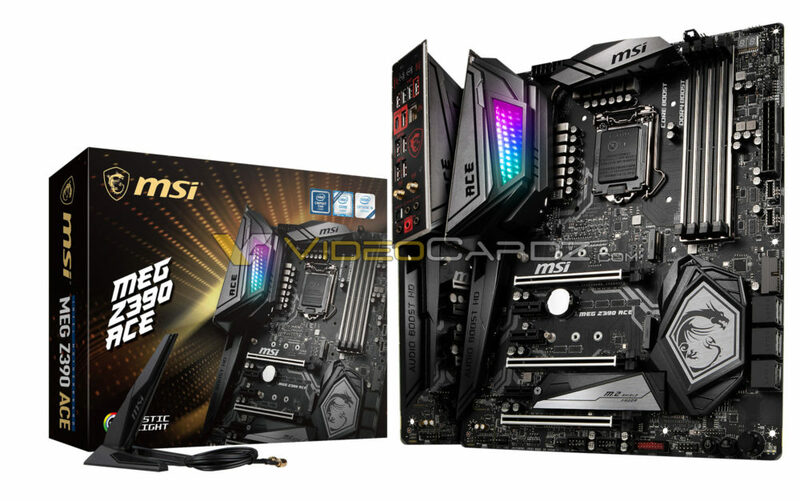 We have a new picture of MSI’s upcoming Z390 motherboard. 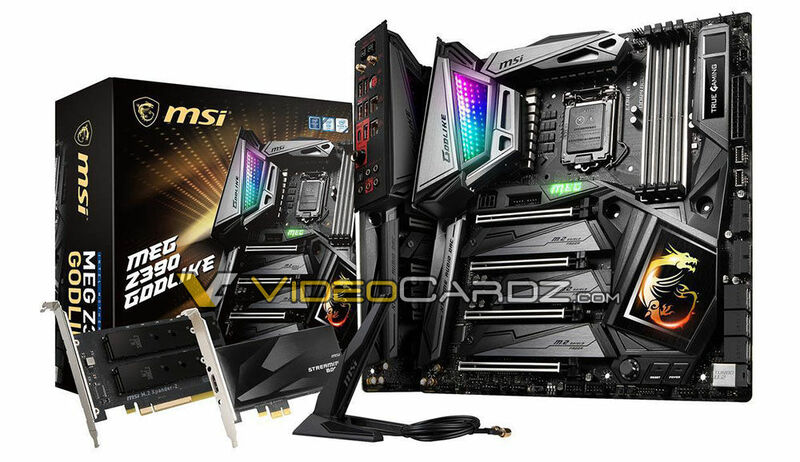 In the previous story, we were missing one Z390 model from MSI lineup that is definitely worth mentioning. The MEG series, MSI’s top-tier, ultra-enthusiast series, will feature two SKUs: GODLIKE and ACE. The former is MSI’s top model, which is likely to cost a kidney. The cheaper variant called ACE will lack some of the features and bundle that is shipping with GODLIKE. Starting with the bundle, the MEG Z390 ACE lacks M.2 expansion card and ‘Streaming’ card (likely a capture card). The ACE also lacks onboard OLED screen, which can be seen on GODLIKE right next to 24-pin power connector. The cheaper MEG motherboard will only have one M.2 shield, as opposed to GODLIKE, which has three. The power section has also been downgraded. Although the board still features two 8-pin power connectors (GODLIKE is 8+8+6), the VRM is 13 phase, while GODLIKE features 18-phase power delivery. The ACE is equipped with onboard WiFI, but it does not have two Ethernet connectors like GODLIKE. Today, MSI is hosting a live stream where new motherboards will be showcased (likely without any mention of Z390). You can watch it here.